You have saved up for years, you have a rough (or exact) idea of what kind of house you want, and you know where you wish to start a home with your family. You feel confident that you are set to take the first step of the property ownership ladder, but how do you know which mortgage is right for you? What are the most important factors you must put into consideration before settling for a particular new mortgage? With thousands of deals that seemingly have unique benefits on offer and lots of real estate jargon to digest, it would be understandable if you get lost in the mortgage maze. This list of the top five things you should know explains the basics you need to know to be properly equipped to know the ideal mortgage deal for you. Just as you would when buying a car, planning ahead is very important when considering a mortgage loan to understand what it involves, what you need to do, what to avoid, and what kind of loan arrangement would be ideal for you. You can also double-check how much you have saved and how much money you can get from other sources for deposit and start researching and comparing the neighborhoods in which you want to buy your house. Planning ahead is also a great way to set the bar before shopping around and to avoid wasting time on mortgages and properties that are out of your range. It is at this stage of getting a mortgage loan that you will understand the difference between advertised and actual loan prices and fees, the benefits and risks of various loan options, and more importantly, work on improving your credit rating and clearing any outstanding debts no matter how small they may be. Any property and financial expert would concur that the most influential factor on your mortgage rate and the value of the property you can qualify for is your credit score. The higher your credit score, the higher your borrowing limit and the lower the interest rate on the mortgage loan you can get. Mortgage loan lenders prefer borrowers who have a long history of on-time payments, low balances, and a mixture of credit utilization e.g. credit cards revolving accounts and car loans. Your credit report is essentially a scorecard of how good you are at settling debts and how much of a risk you are to the lender. There are many ways you can clean up your credit report if it is not so impressive, but it will take at least a year to correct any errors that may have negatively impacted on your rating over the years. First, though, you must get a sense of where you stand credit-wise by getting your credit report. The amount of mortgage loan you qualify to borrow is dependent on several factors including your income, current mortgage rates, your expenses, required down payment, and of course, your credit score. Most importantly, though, it should be an amount you are comfortable borrowing and can afford to repay without straining. The monthly payments should be low enough for you to make with all your personal and unique circumstances factored in. Lower loan payments involve a little trade-off. For example, to get a low rate, you must be ready to pay higher fees and go for a loan with a short repayment period or opt for riskier loan features such as prepayment penalties and interest-only payments. Before you go out to shop for a loan, make a budget first and determine a range of constant payments you are willing and able to make to guide you on your hunt for the fairest deal. The interest rate is often the most visible part of a mortgage loan advertisement but can also be the most misleading if you do not read the fine print. Finding the best deal as far as the interest rate goes demands that you look beyond the lowest posted rate. A mortgage loan that has a low rate but high closing costs could end up being very expensive. Many first time home buyers often make the mistake of using the mortgage rate as the only and final determinant of whether a loan is ideal for them—do not fall into this trap. As you shop for a mortgage, use a mortgage calculator to compare the upfront costs with the mortgage rates using a good faith estimate (GFE) and ensure that you understand what the annual percentage rate (APR) of the loan is. Some lenders may give you an opportunity to lower the interest rate by paying discount points while most are often open to negotiations to lower the rate. 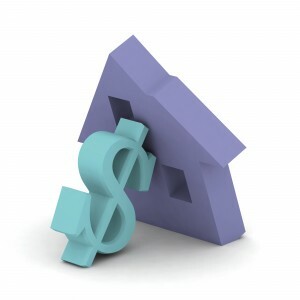 Mortgage loans come attached with either a fixed or a variable rate. As you may have deduced, a fixed rate remains constant for the duration of the deal, which means that once the papers are signed, you will have a peace of mind knowing exactly how much you will need to pay every month until you clear the loan repayment. This explains why loans with fixed rates are very popular. It is easy to keep a strict budget and plan ahead because there are no surprises. With a variable rate loan, however, the interest you pay changes. When the interest rate goes up, then your payments will most likely go up are well. There is another type of mortgage loan called tracker mortgage. It is basically a variable rate mortgage whose interest changes with—or tracks—another rate. While this type of loan does not match the rate it tracks, it is often at a ’margin’ above it. Since a mortgage is a long-term loan to finance the most important asset in your life—your home—it is imperative that you take the time to ensure that you get it right the first time. Finding a loan that perfectly meets your needs and accommodates your finances is not easy, but these tips will point you on the right path.